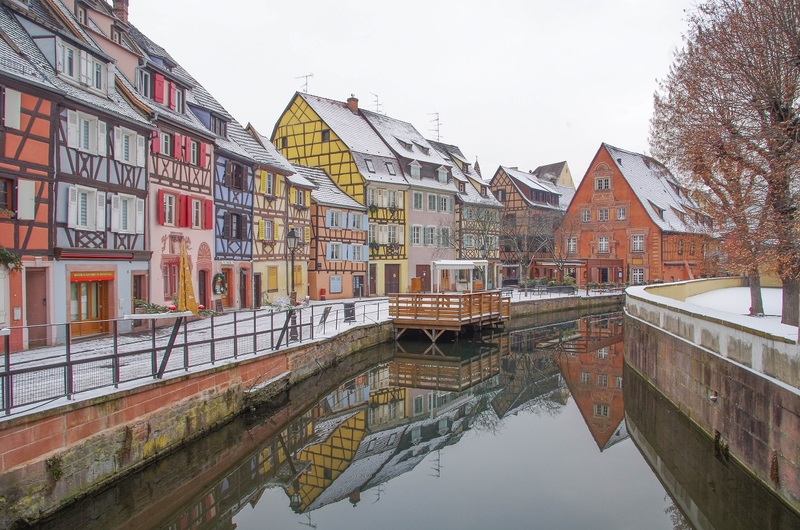 This lovely region over which French and German people fought so much throughout history offers a total change of scenery only two hours away from Paris by train. 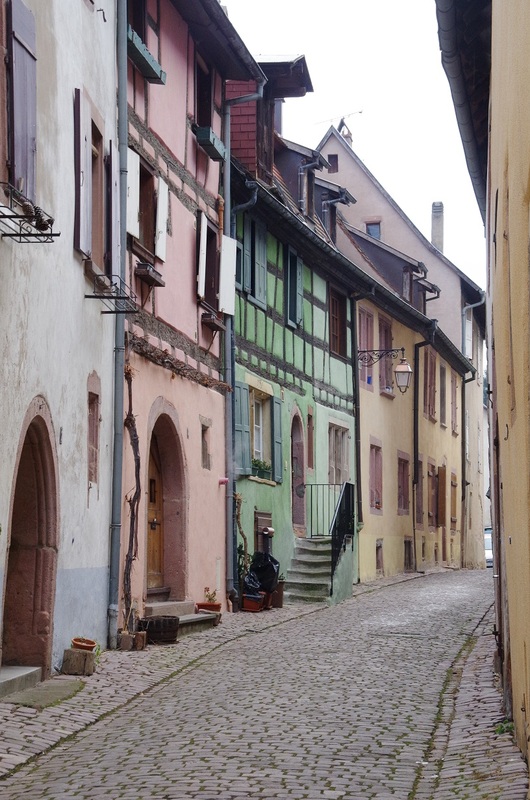 With such specific architecture, lovely colorful buildings, and the radio playing German songs, we had more than once the feeling that we had crossed the border for an adventure in Germany. 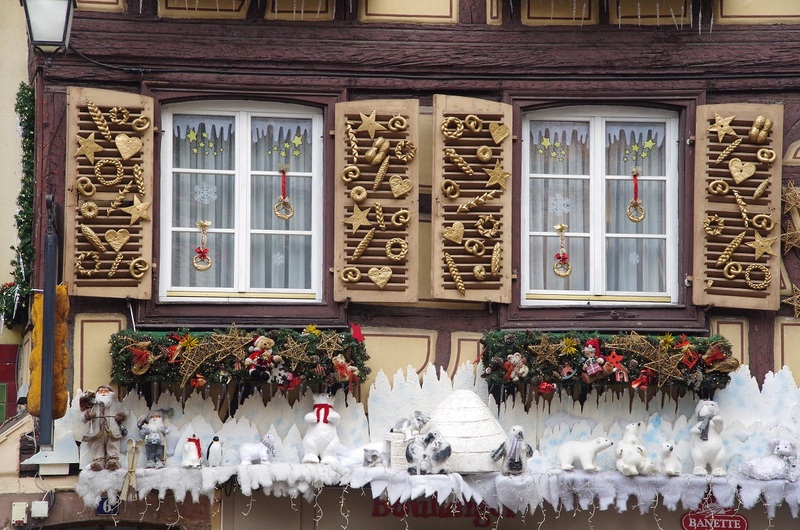 Two weeks after Christmas, the gorgeous decorations were still present. 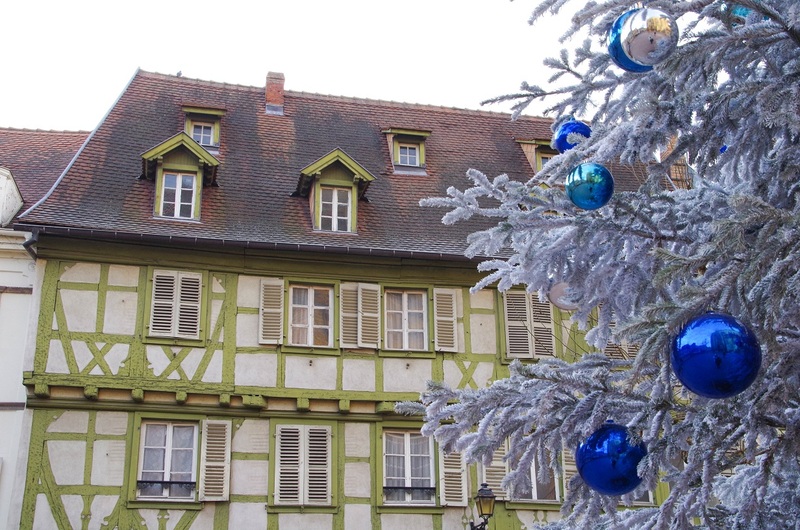 We were able to enjoy the Christmas magic which is so palpable in this region, without the hords of tourists that visit the area for the holidays. 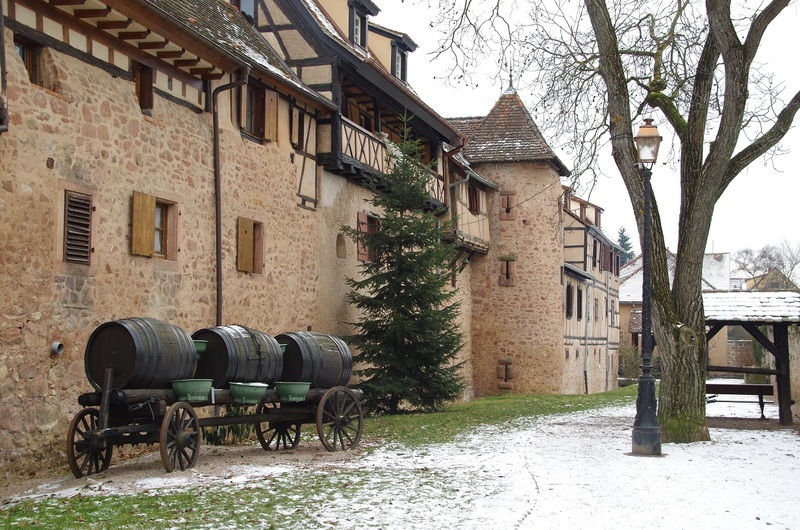 Here we go for the tale of this weekend in Alsace! I can’t believe how much we saw in just two days! We were up early on this Saturday January, 7th. 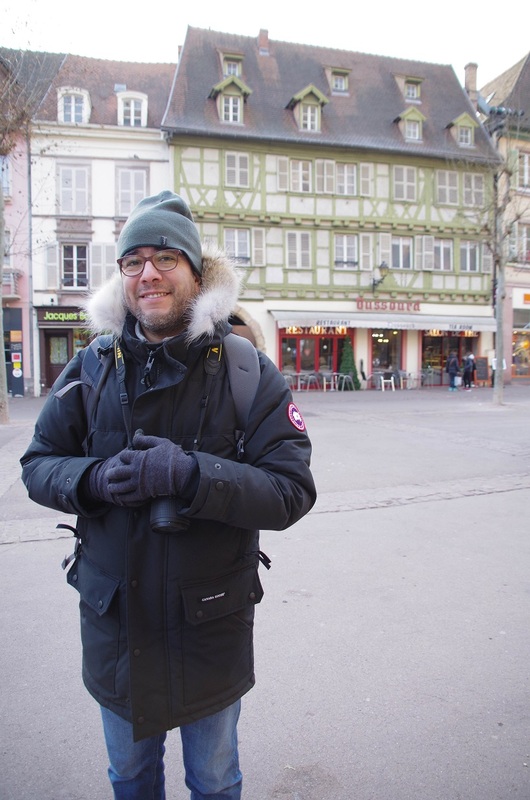 At 7:20 a.m. we were already on the train and we were leaving the Paris Est train station, heading towards Colmar! Two hours later, we had already reached our destination. 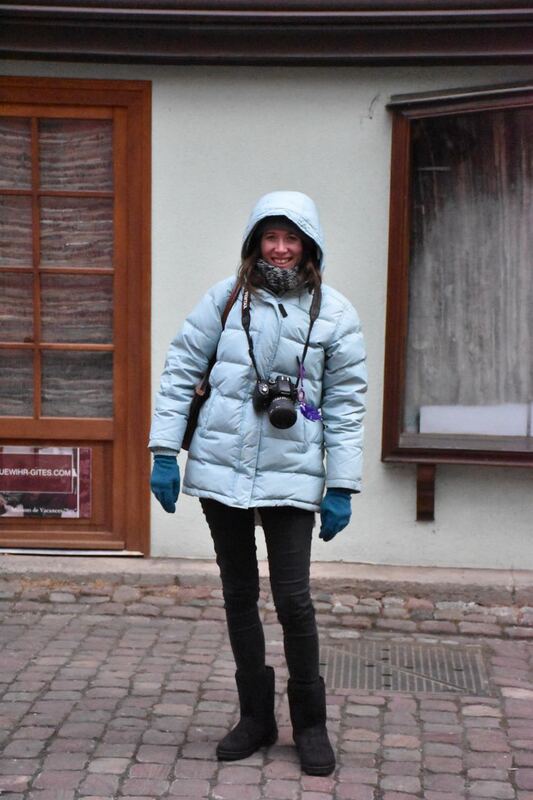 We had the whole day ahead of us to explore the city! 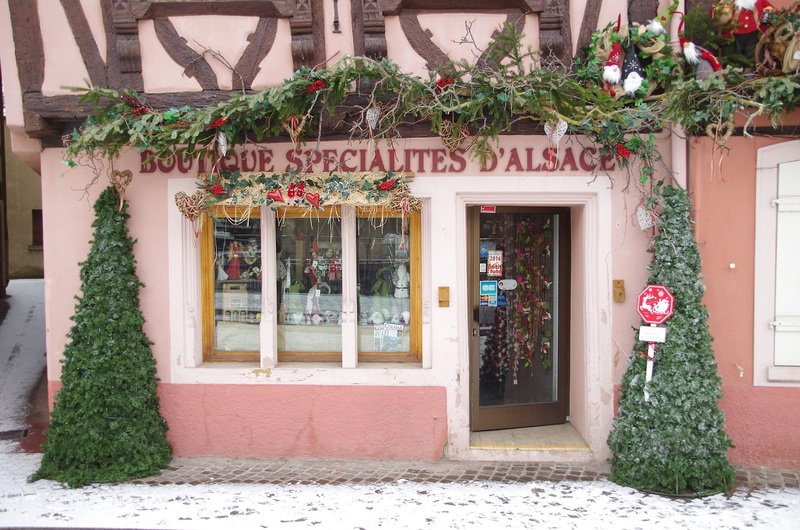 We first headed to the tourist center to see how we could organize our time in Alsace. 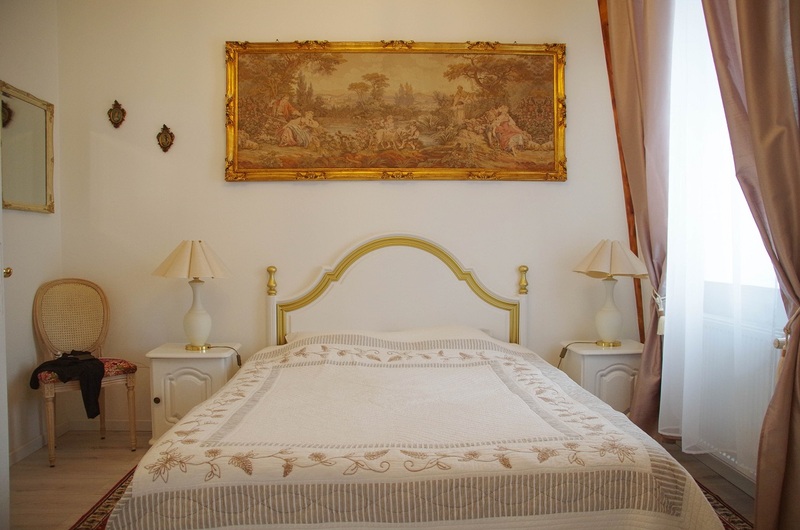 Located at a 20-minute walking distance from the train station, just in front of the famous Unterlinden museum, the tourist center was easy to find. 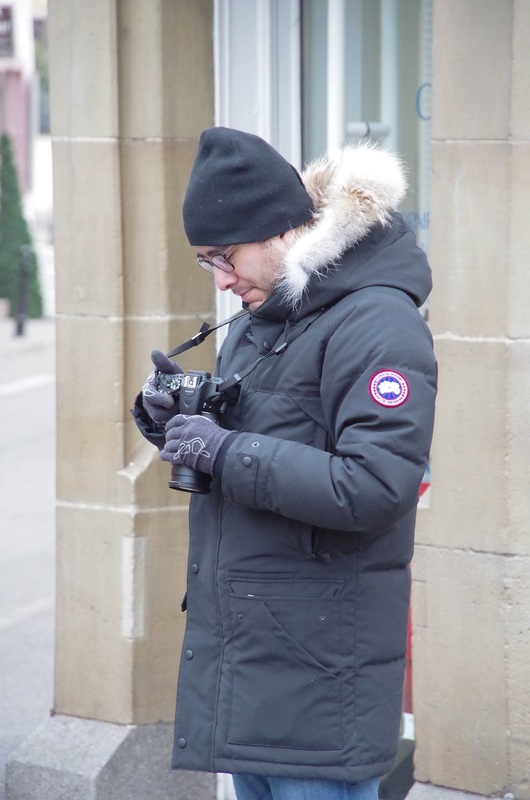 We were warmly welcomed by an employee who gave us a map and explained that there was a 45-minute walk we could do around the city to discover the main points of interest. 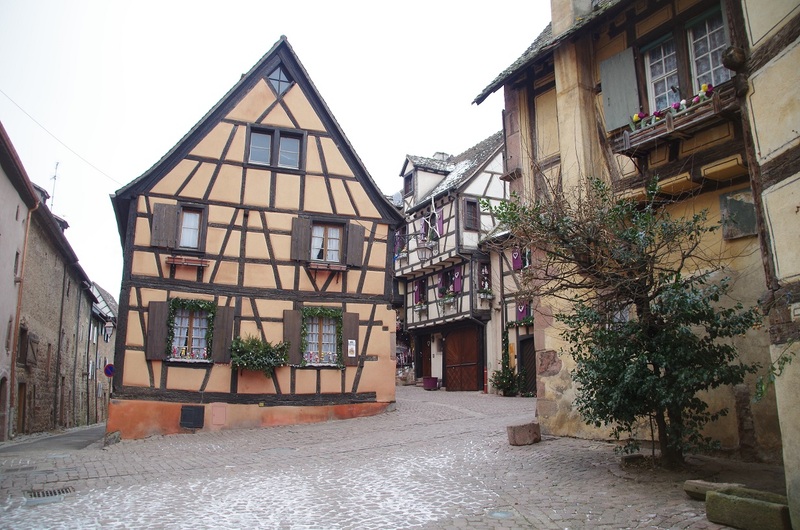 There were also several museums but since this was our first time in Alsace we wanted to make the most of our stay and explore the region. 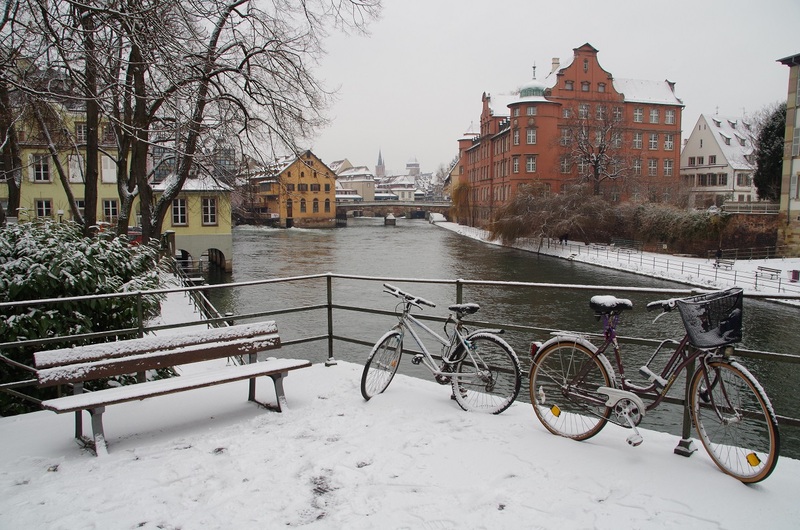 Beginning of January, several sites were closed and some buses did not run on the weekend. 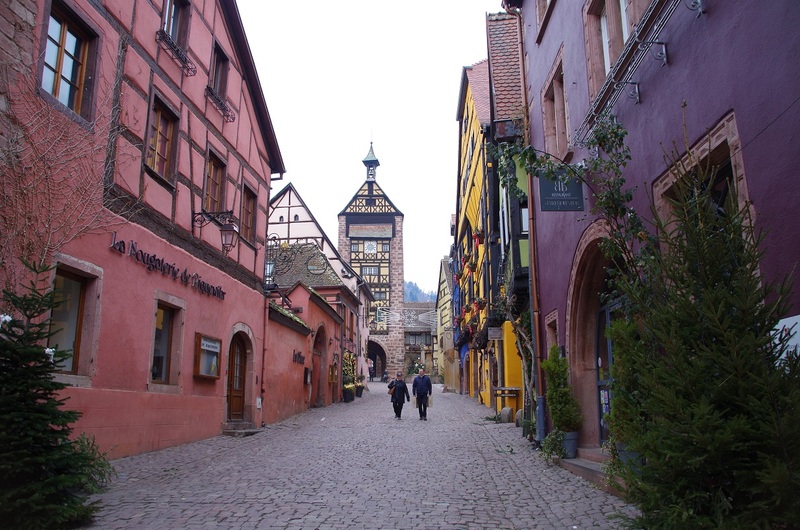 The employee advised us to go and visit two nearby villages: Riquewihr, reachable after a 30-minute bus ride and Eguisheim, reachable after a 10-minute taxi ride. She gave us the bus schedule and told us where to take the bus. She also explained that we could take a taxi at the train station or that she could call one for us. We were now all set to start exploring the region. 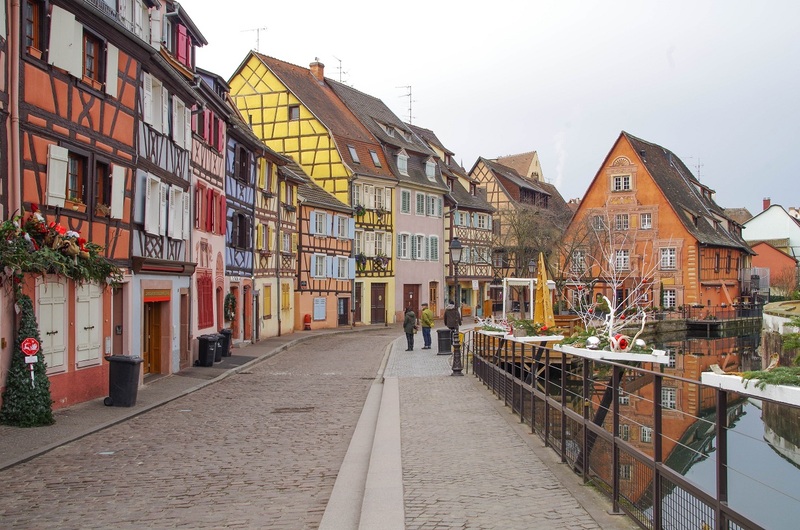 Let’s start with the lovely city of Colmar. 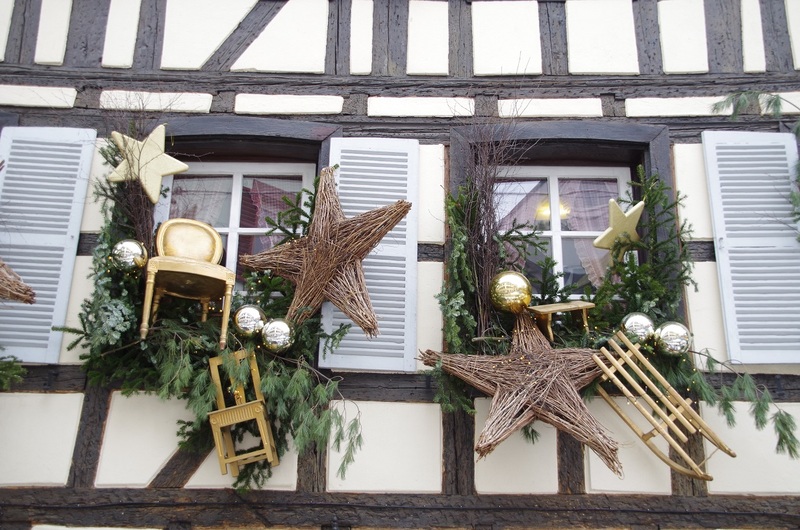 Alsacian people have a gift for decorating their houses, there is no doubt about that! 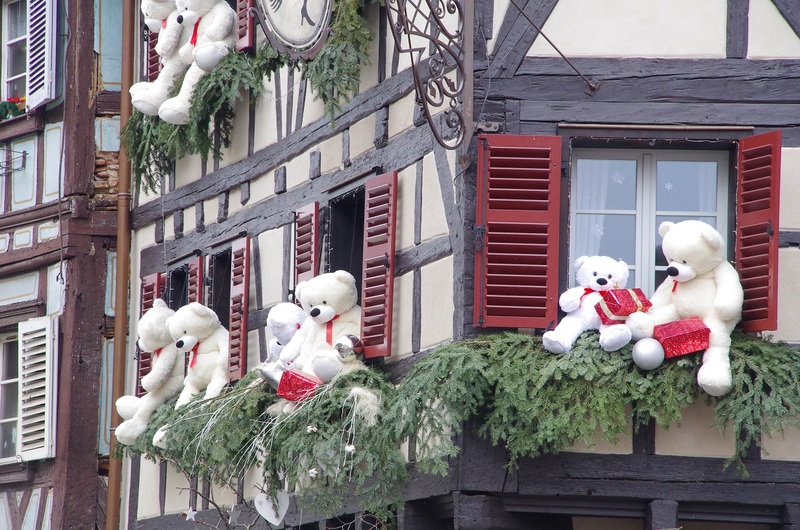 No wonder that so many tourists visit this region around Christmas time to plunge into the Christmal magic. 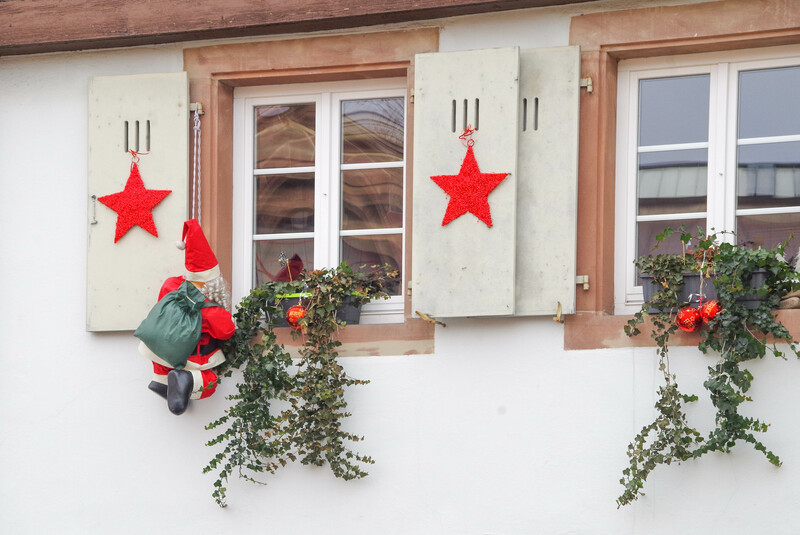 Two weeks after Christmas, Christmas trees and decorations were still present all around town: a lovely and unexpected surprise. 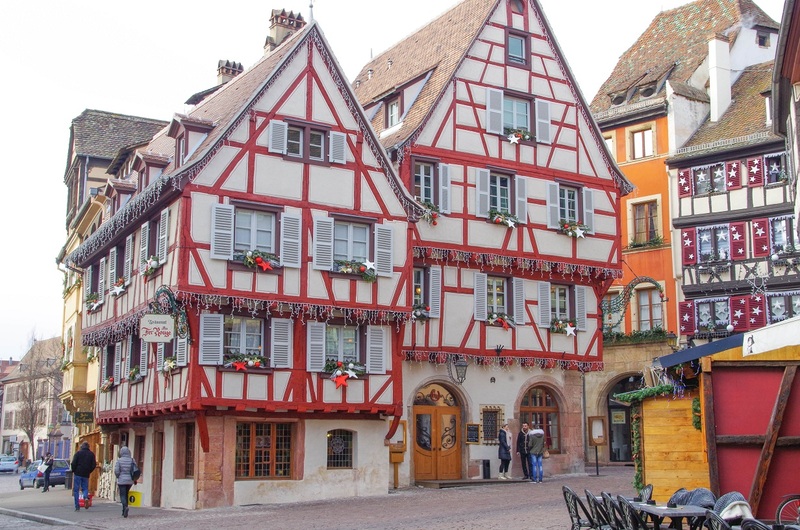 Colmar is full of beautiful buildings dating back to the Middle Ages and Renaissance time and the Rue des Marchands street offers several gorgeous examples. 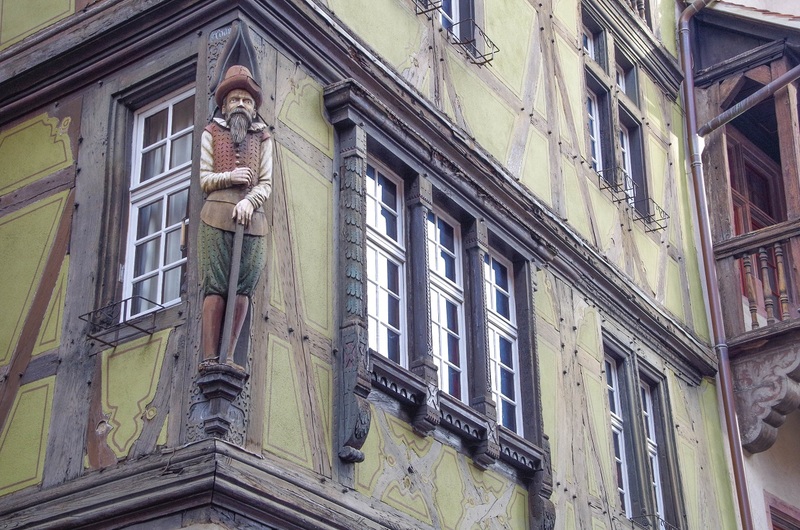 Do not miss “Zum Kragen”, a building covered with wooden parts from the 16th century, the Pfister house built in 1537 and richly decorated, as well as the old customs house from the 15th and 16th centuries. 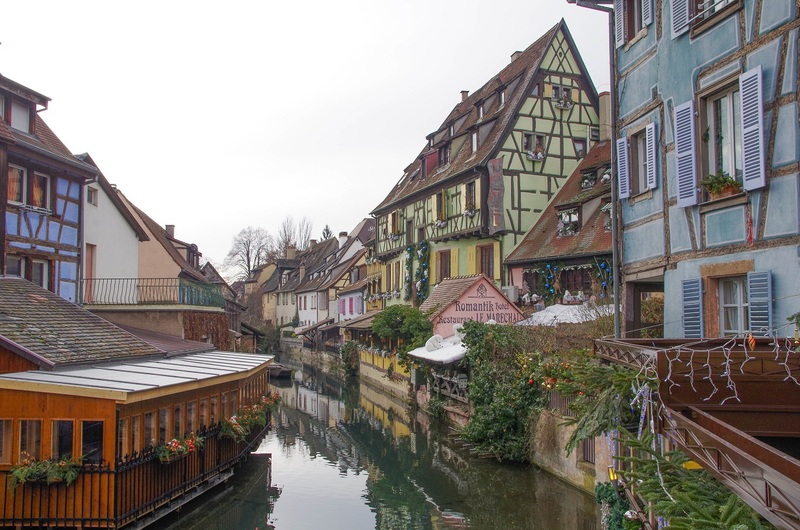 After walking around Colmar for about an hour, we reached the “Little Venise”, the most emblematic area of town that we were so eager to see. 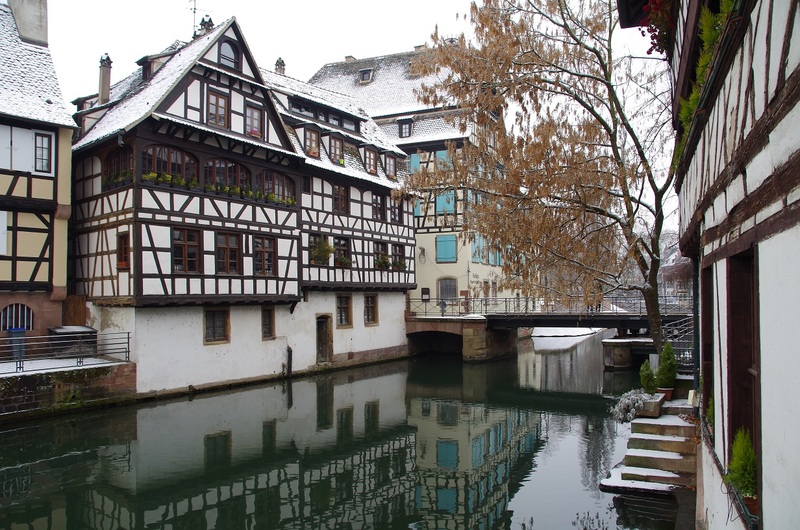 The little Lauch river gives a charming touch to this neighborhood. From April to September, small boats offer a – short – ride on the river. Find out more here. Then we headed to our hotel to check in. We reached the address of our hotel but there was nothing indicating from outside that we were facing an hotel. 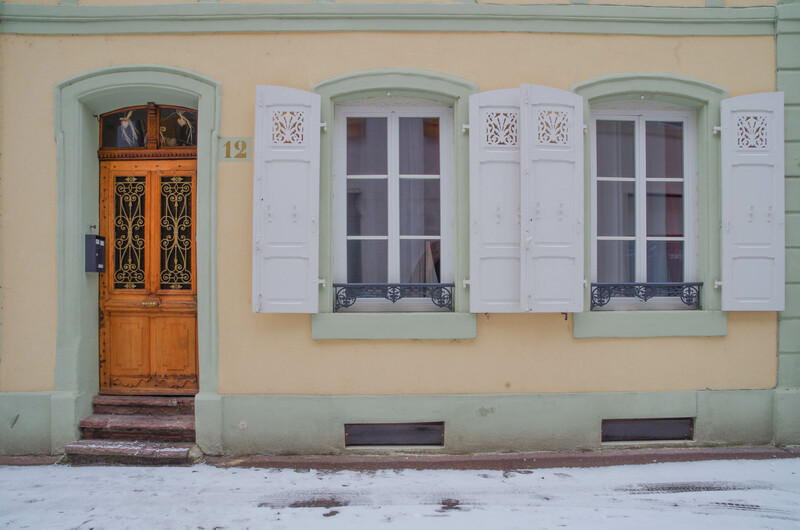 We rang the bell and realized that this lovely three-floor building was housing three large independant apartments. We were welcomed by the cleaning lady who gave us our keys and walked us to the third floor where our appartment was located. 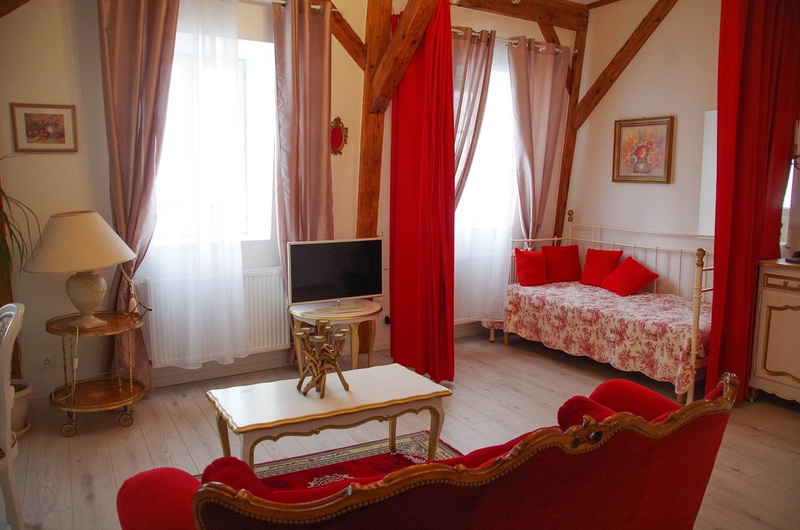 We discovered a cozy – yet rococo – apartment. There was even a fully equiped kitchen. 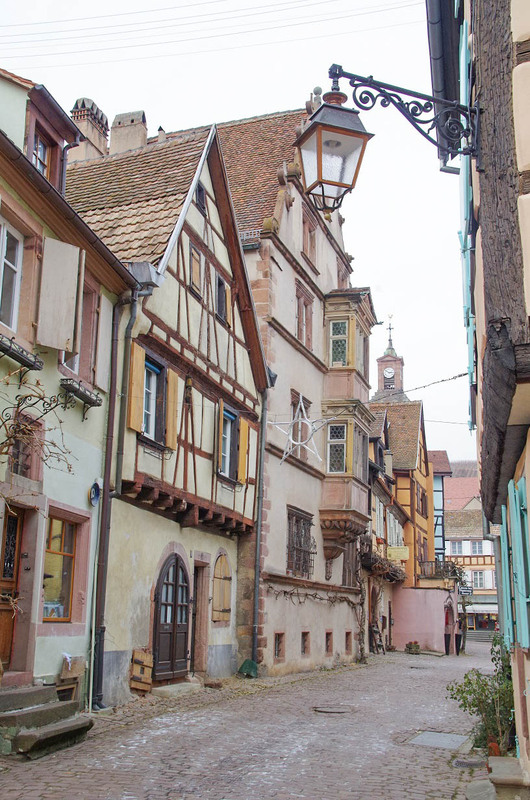 Located in the heart of Colmar, the Ambassadeur hotel is a great place to stay at to explore the city for a great quality-price ratio. I recommend this place! 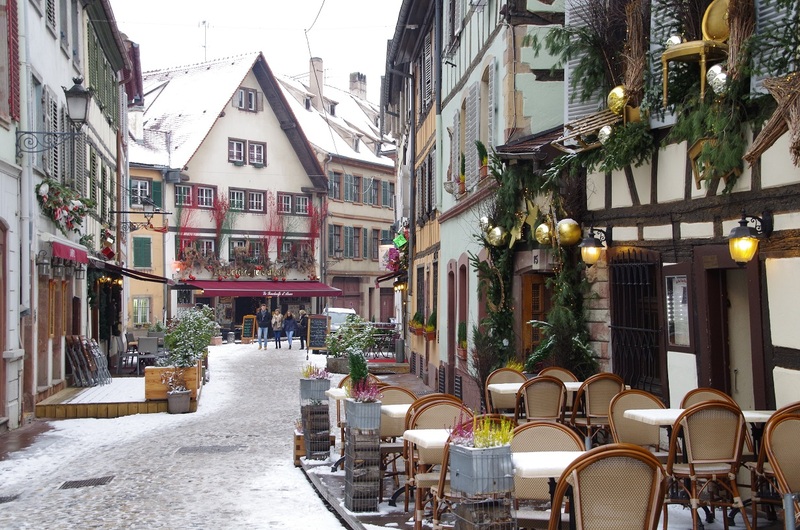 L’Ambassadeur, 12 rue de l’Ours, Colmar. We spent 70€ for one night in a spacious apartment. Breakfast not included (but there was coffee in our kitchen). Check-in time must be respected (no reception desk). 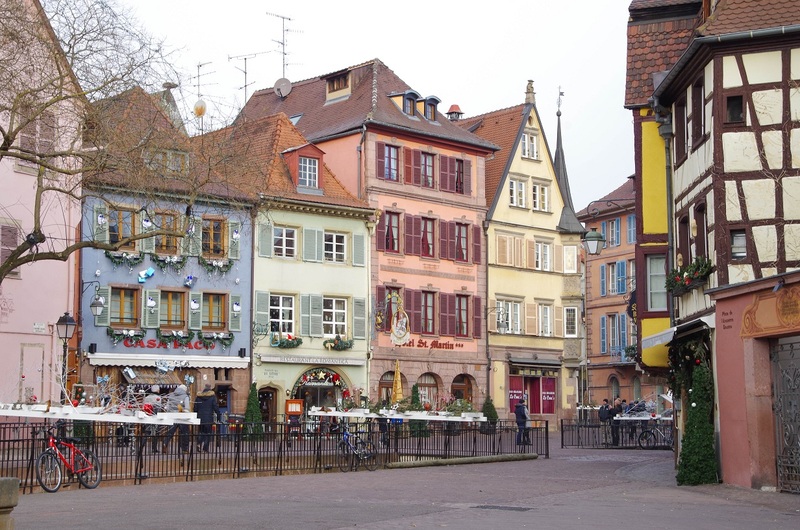 We had little time left before taking our bus to Riquewihr so we decided to have a quick lunch at the Poulaillon bakery we had heard so much about. We chose the munster hot sandwiches and a slice of cheesecake (nothing to do with the very rich cheesecake from this USA; this one was light so delicious!). 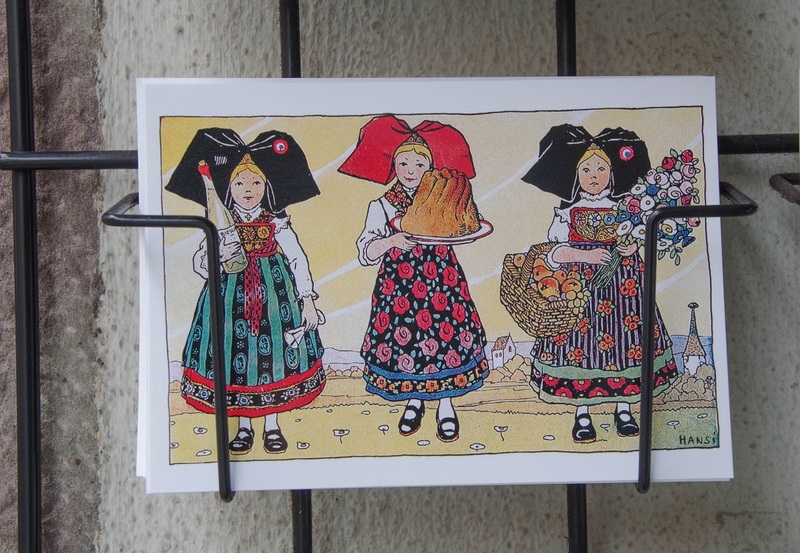 We also discovered another specialty of the region, the “moricettes” : little sandwiches in bretzel bread! Yummy! 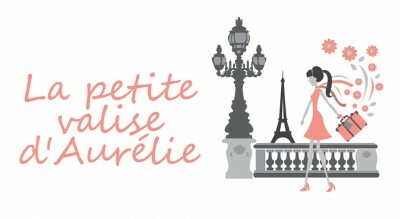 I highly recommand this place to grab a quick lunch with delicious local specialties. Poulaillon, 39 rue des Clés. We spent 12,80€ for two sandwiches and cheese cake. 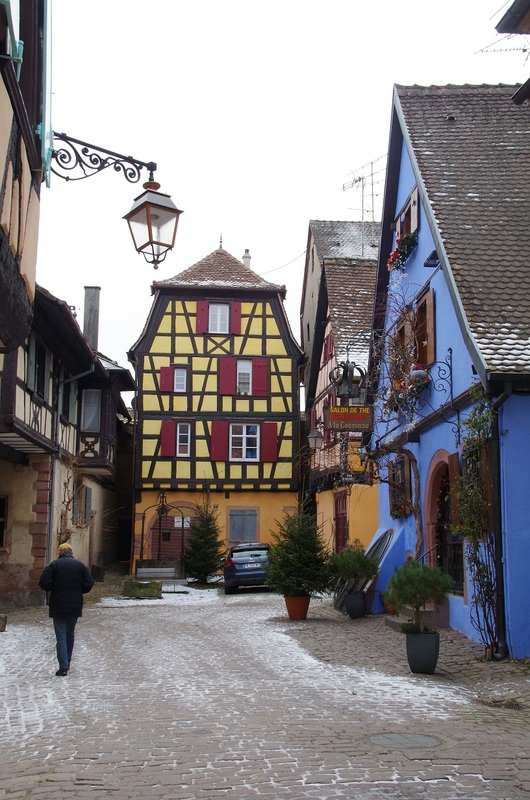 We then took the bus to Riquewihr. 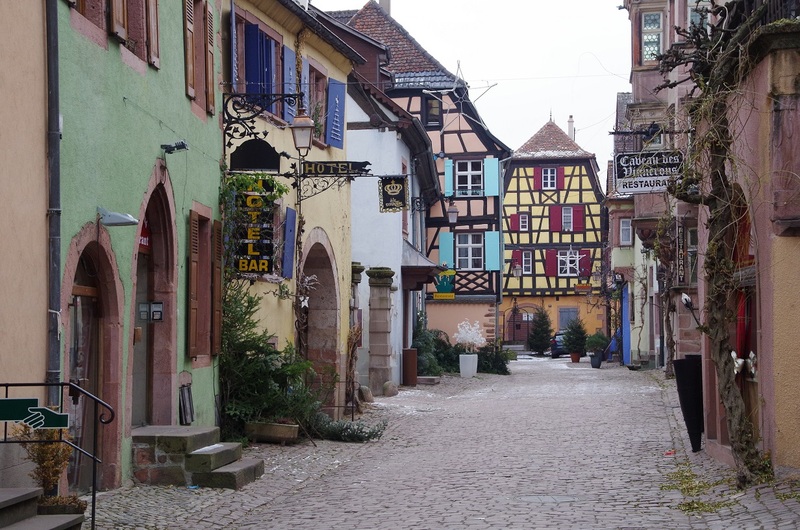 We jumped into an almost empty bus playing German songs on the radio across the beautiful Alsace countryside. We arrived 30 minutes later. 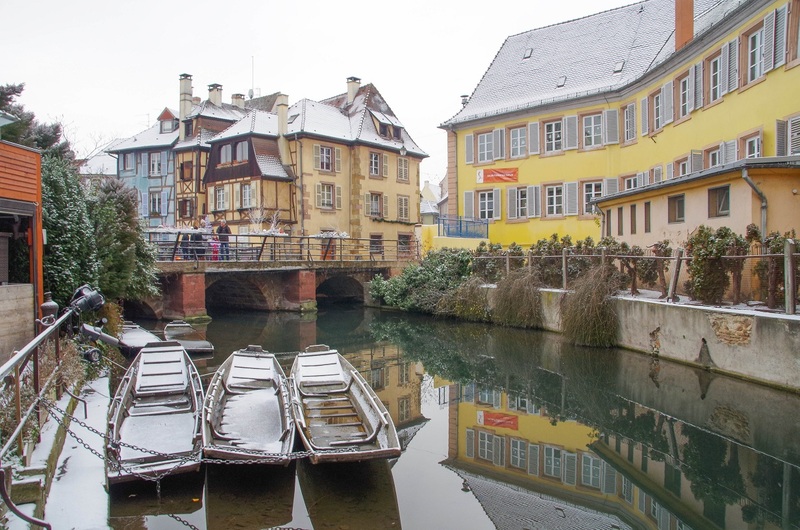 If like us you are looking to explore Alsace without the usual crowds of tourists, the first week of January seems to be the perfect time! We discovered a charmining little village hidden within ramparts. We wandered around the little streets full of colors. 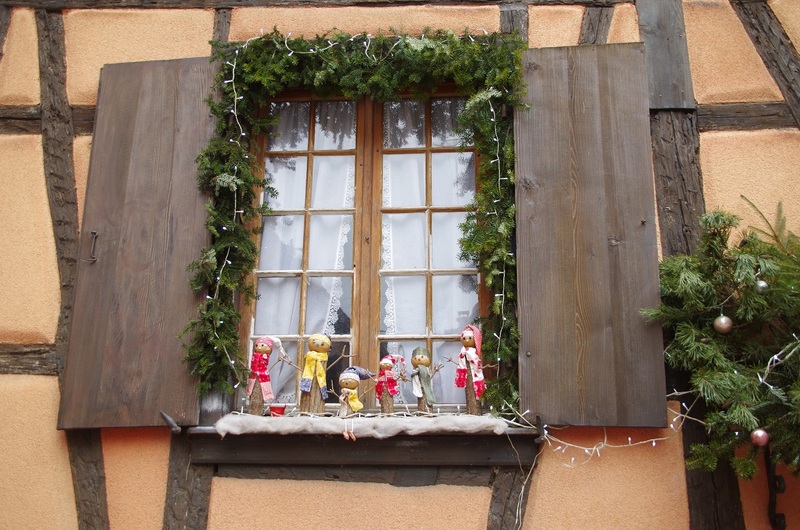 The Christmas magic was even more palpable than in Colmar. 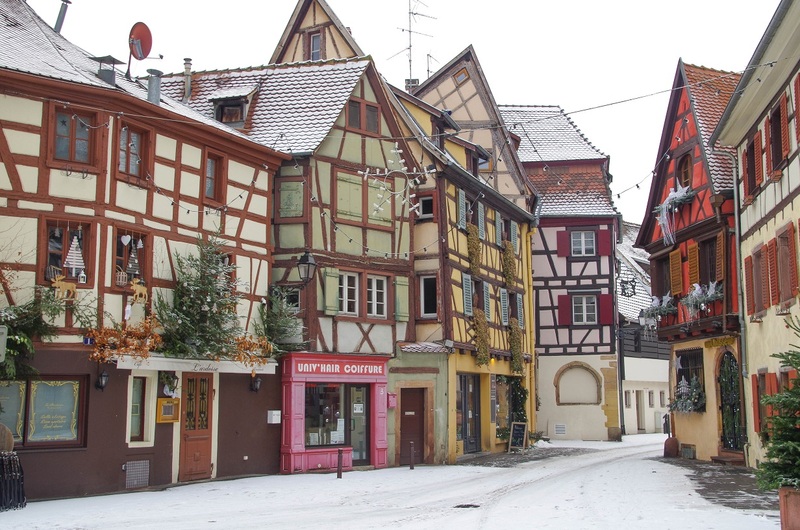 We quickly walked around the village and took shelter in a warm coffee house to wait for the bus taking us back to Colmar. 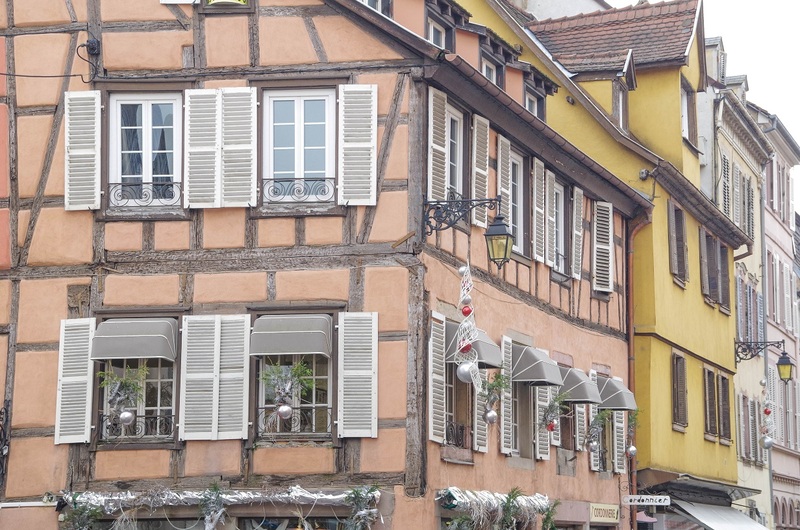 Back in Colmar, we ended this beautiful day with a delicious meal at Schwendi, a cozy and typical Alsacian “Wiestub” located at the heart of Colmar. 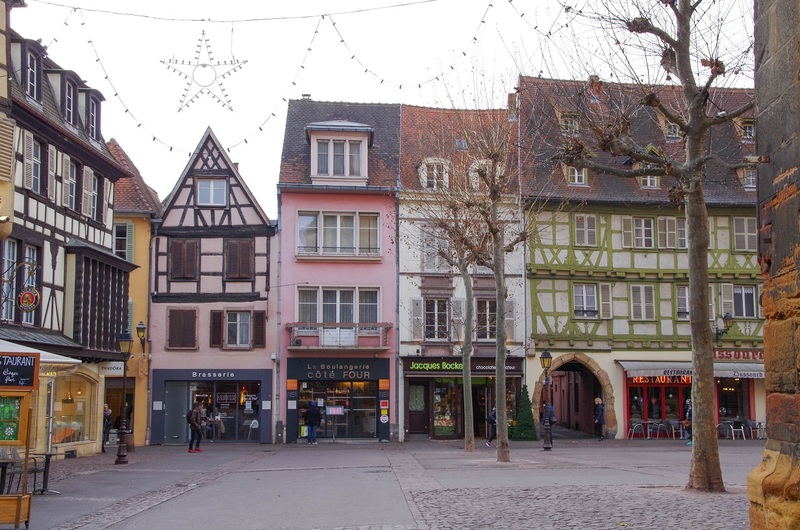 We chose the “tarte flambée” (this is how they call “flammekueche” in that region), a tasty piece of braised ham and two glasses of my favorite Alsacian wine: Gewurtzraminer. Yummy! I highly recommend this place! 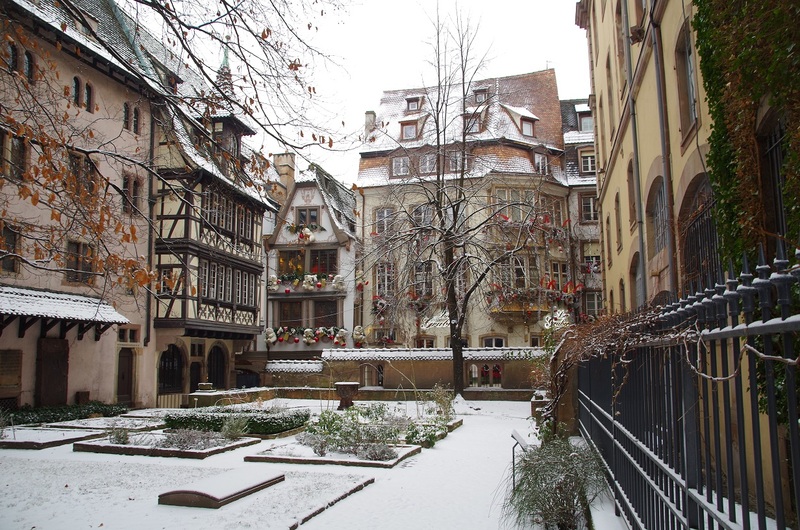 We had a lovely surprise the next day when we woke up: it was snowing! 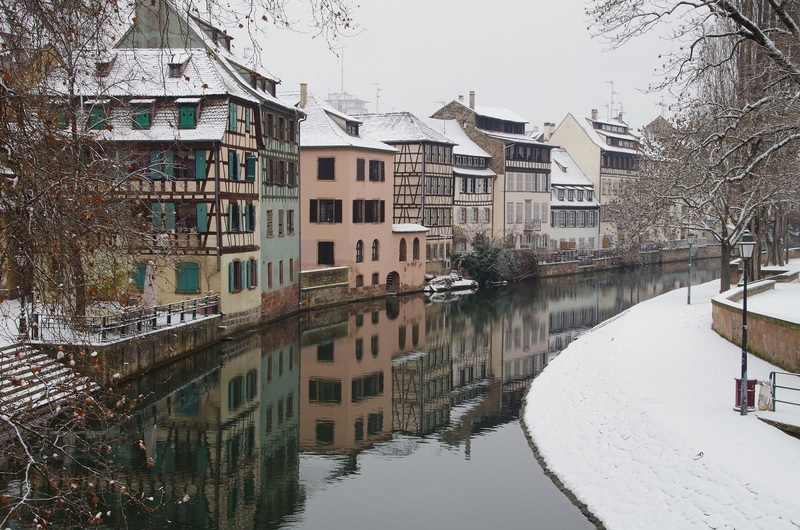 The thin layer of snow which was covering the city gave it a beautiful touch. We left our cozy and warm apartment and headed to the Little Venise we had liked so much the previous day to rediscover it in a new light. The snow was absorbing all sounds. It was all quiet and peaceful. It was magical. We then walked to the train station to continue our adventure. 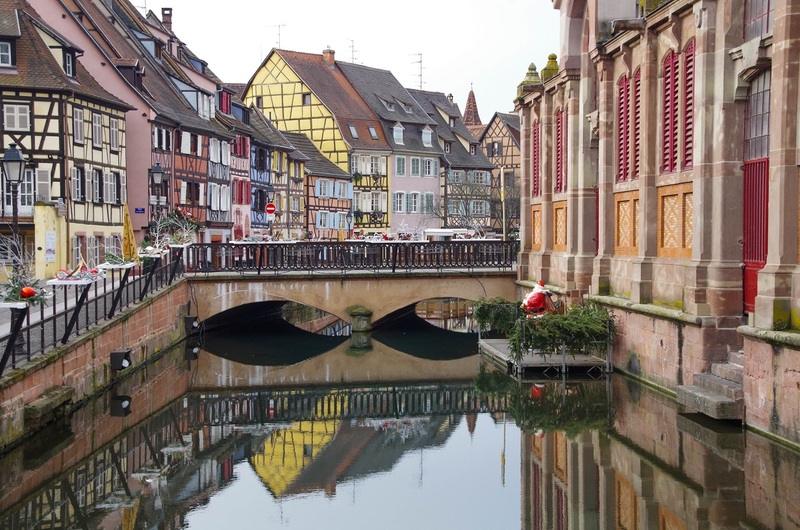 We took the train to Strasbourg, Alsace beautiful capital, located some thirty minutes away from Colmar by train. 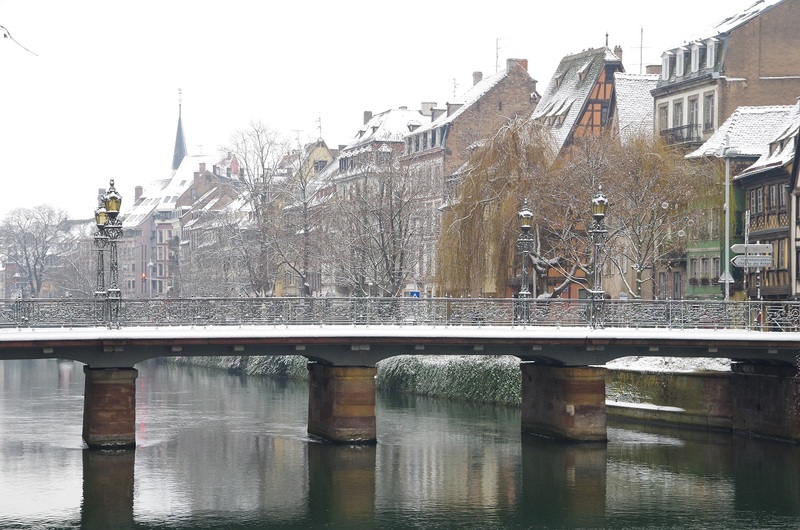 We walked a few hours around the lovely Strasbourg. 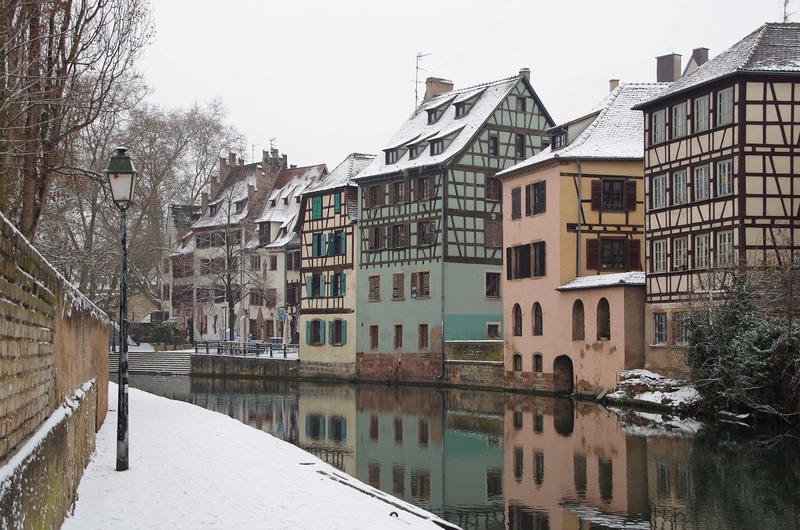 We discovered another colorful city with half-timbered houses, canals, Christmas decorations, all sprinkled with snow. 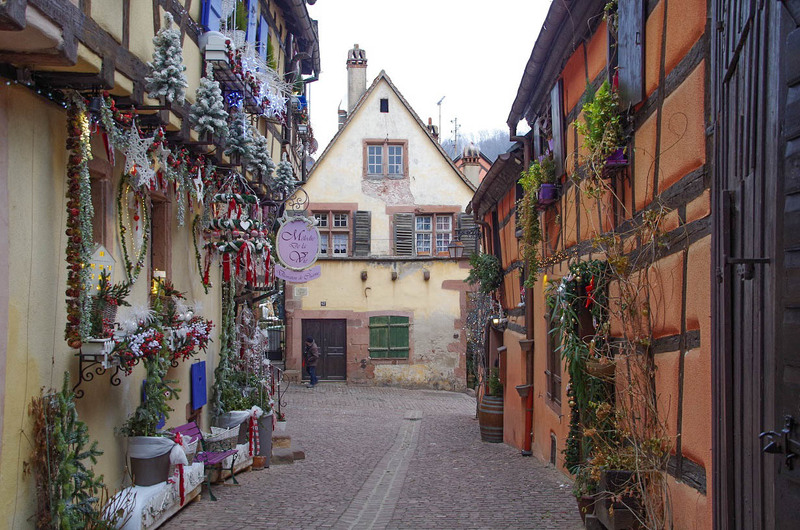 Alsace was definitely worth a visit! 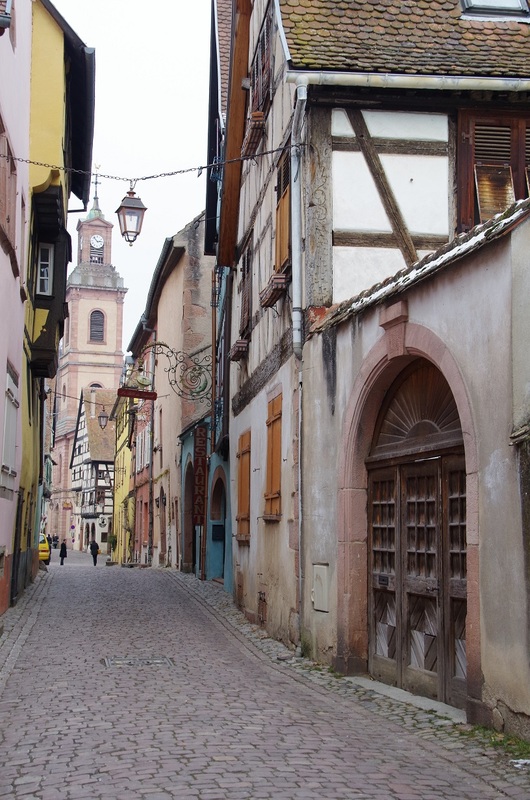 This is how our adventure in Alsace ended. I hope you enjoyed it.